Today little people (and big), I am going to write my recipe for my DELICIOUS cupcakes!Also this is a Jamie Oliver recipe.. with my little adaption (not that you'd notice anyway! )Ingredients:225g castor sugar ( I actually use granulated! )225g butter225g flour4 eggsIcing SugarDecorationsFirstly, preheat your oven to 180 degrees - unfortunately I am to retarted to explain this in gas!Mix together the sugar and the butter, till you get a nice smooth texture. I personally prefer using my hands to mix it with, but if you're one of those snobs.. then you can use a normal old spoon!Once it is all mixed in, add in the eggs one at a time.. stirring thoroughly between each egg. Next, sieve in the flour, again stirring in between the sieving. Trust me, it makes it so much easier! 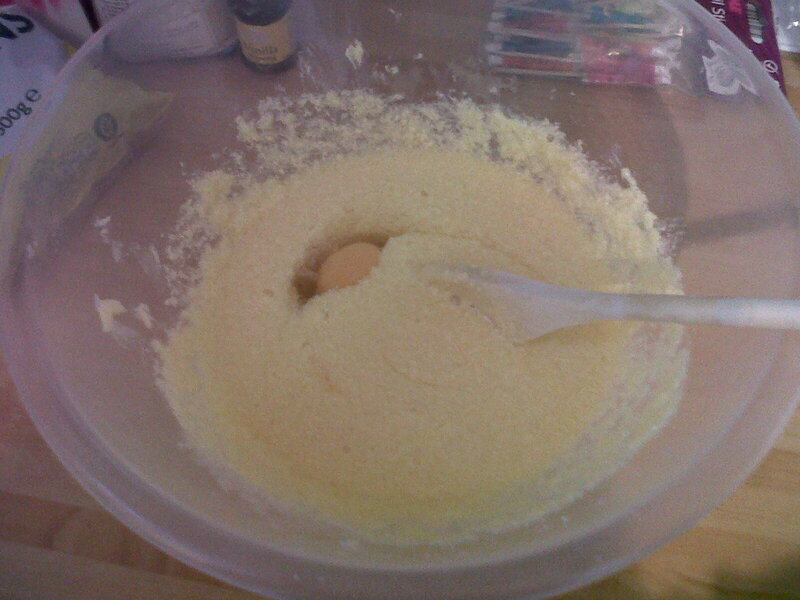 The mixture should now look like cake mixture! And if you don't know what that means.. light, creamy and yummy! You may have a taste too! 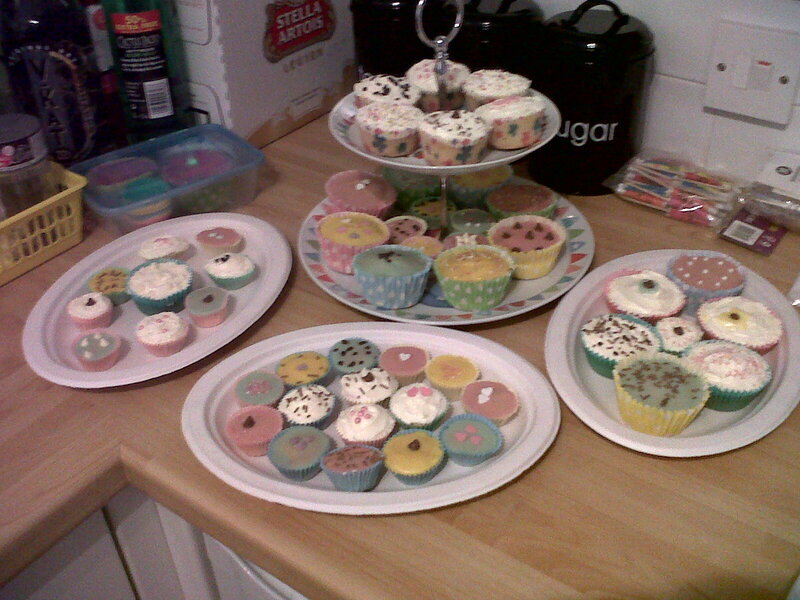 Because i'm a cake monster. 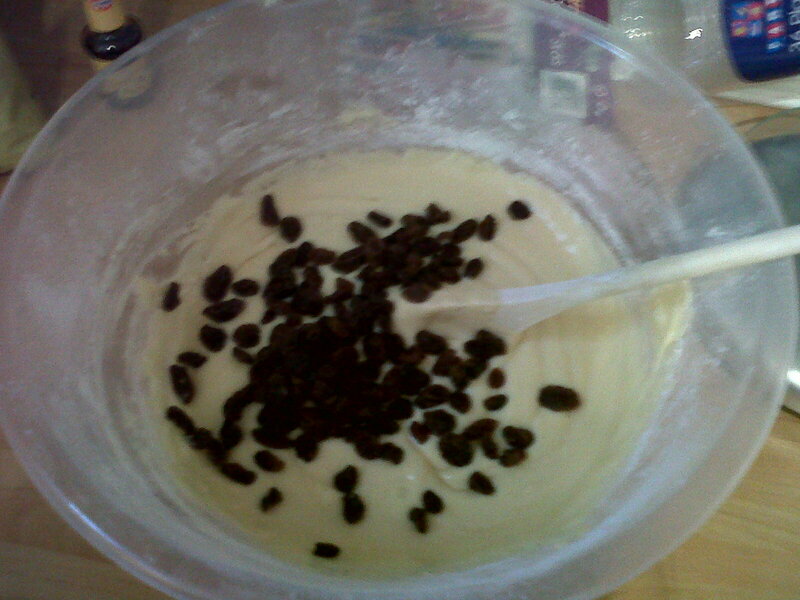 Before, I put them into baking trays, I also tend to add in some Vanilla flavouring, and raisins..
"Ooh did you manage to find a raisin?" Next we're ready to separate the mixture into baking trays. 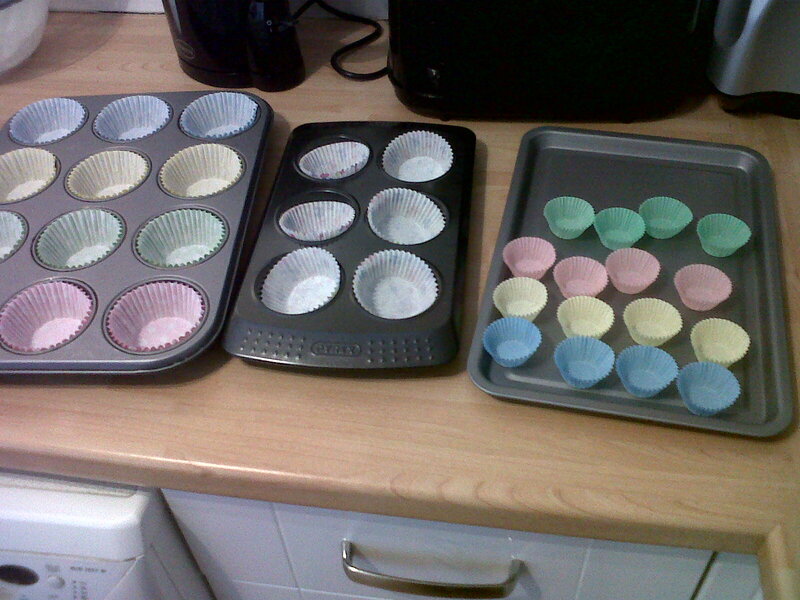 You need to put your cupcake cases into cake tins, or sometimes they will work just on a normal baking tray! 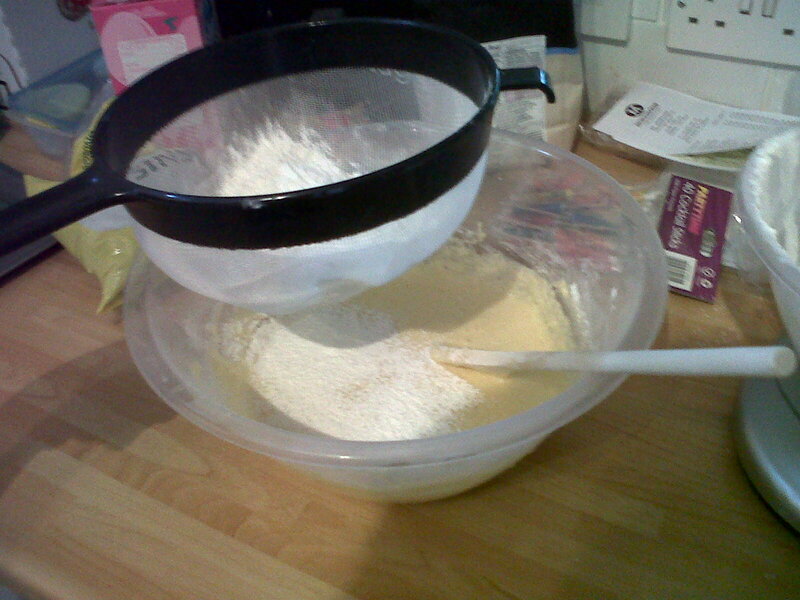 Or if you fancy just making one BIG cake because you're a fatty, then make sure you butter the tin before! Once the cake mix has gone (and you actually have some of the mix in the cases.. and haven't ate it all! ), then pop them in the oven for approximately 12-18 minutes. I absolutely LOVE these mini cupcake cases.. four colours, and make just a perfect bite size cupcake. AND look amazing to. You can purchase these from Morrisons for UNDER A POUND! 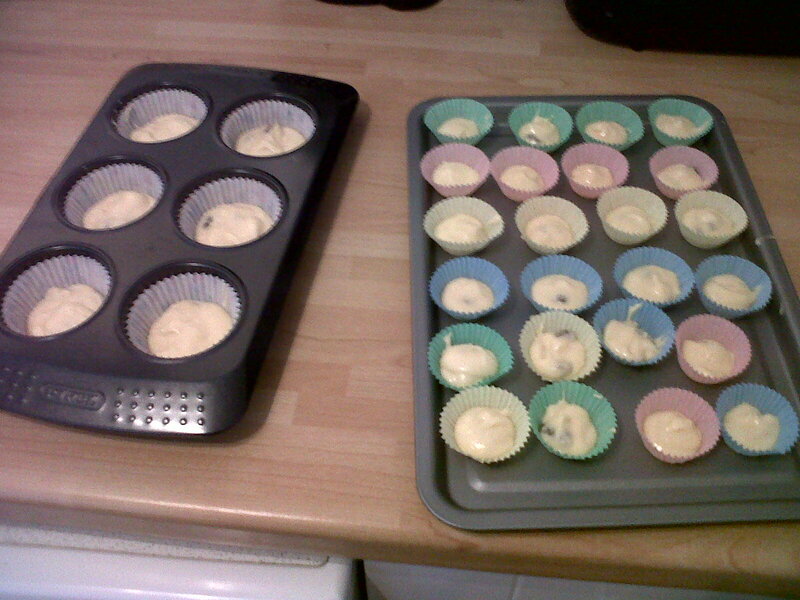 Whilst these are doing there thing in the oven, prepare a few bowls of icing sugar. Now this is where, I just estimate with the icing sugar to water ratio. 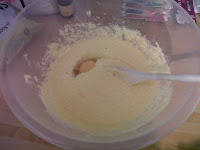 Add in the icing sugar mix to a bowl, and add a drop of water (maybe a teaspoon depending on the quantity of icing sugar) and mix till it becomes gooey, yet thick. And you are satisfied with it! If you're feeling a little adventurous why not add some colour to it. I love green colouring, with peppermint flavouring! 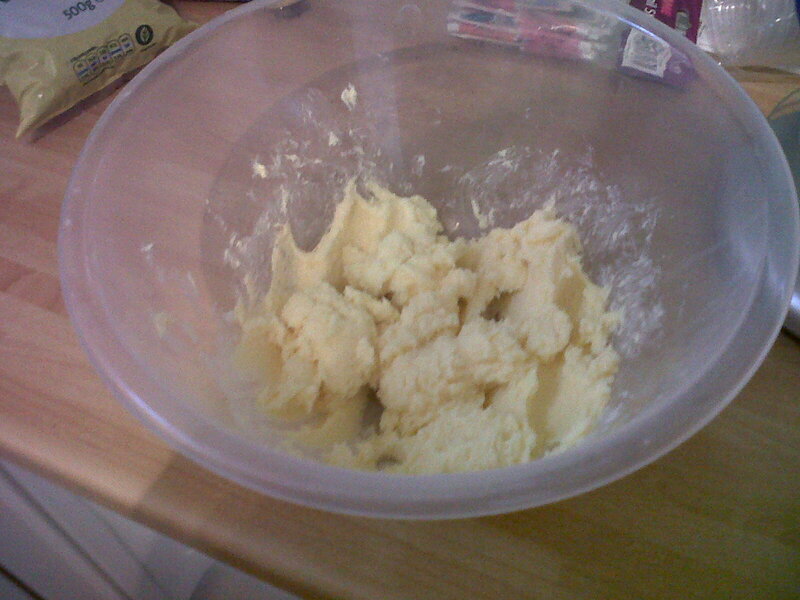 And yummy lemon flavouring with yellow colouring! But you can always go and buy pre made icing sugar, if you're feeling REALLY lazy! Once, the cakes have risen/ are cooked/ have epically failed... then take them out the oven, and leave to cool for a while. I prefer to decorate in the trays (this was an idea from Le Chef Matt), so that the excess icing can drip down the side, leaving you with a still perfect cake! 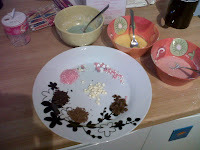 Decorate as you wish.. adding some chocolate sprinkles, 100's and 1000's, barbie flowers etc etc. Once decorated, leave them to set. 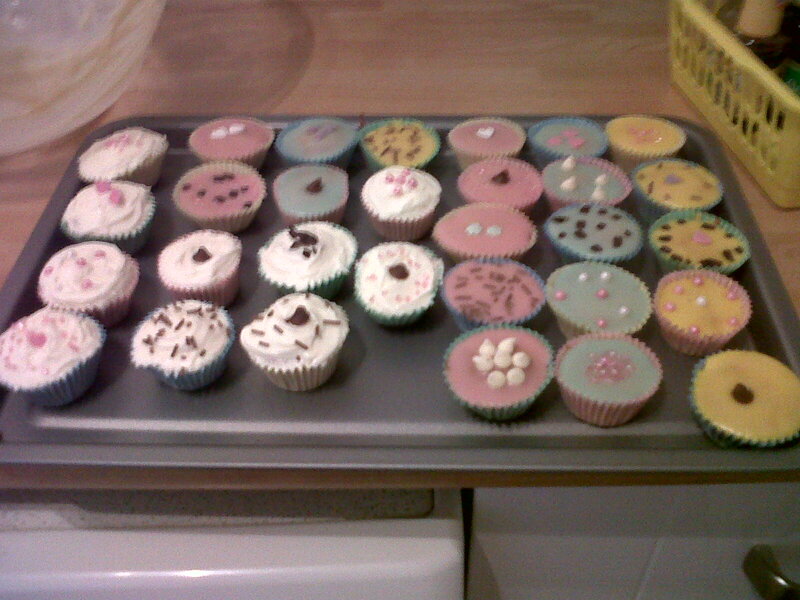 Only for about 5 minutes - I normally do..
Because I want to eat them all! And serve however you wish! Then it's time to wash up.